KIRK Gallery features Danish and international contemporary art, showcasing the latest currents and developments within the new contemporary art scene, presenting powerful and visionary art by artists in a line-up that bridges the gap between fine art and the new contemporary movement. Our artists are all selected based upon this vision and their unique conceptual ability and visual line of work. The gallery has been in operation for since 2008 and is run by Lene Kirk and 3 assistants. Monthly exhibitions are displayed at the 200 square meter gallery, located downtown Aalborg, Denmark. The gallery also contributes to the beautifying the local area with the "Out in the Open" mural project started in 2014. For this project, a significant number of large-scale urban art murals have been added to the cityscape of Aalborg. The gallery’s murals showcase highly-recognized international artists such as: Conor Harrington, Faith47, Robert Proch, Bezt (Etam Cru), and more. 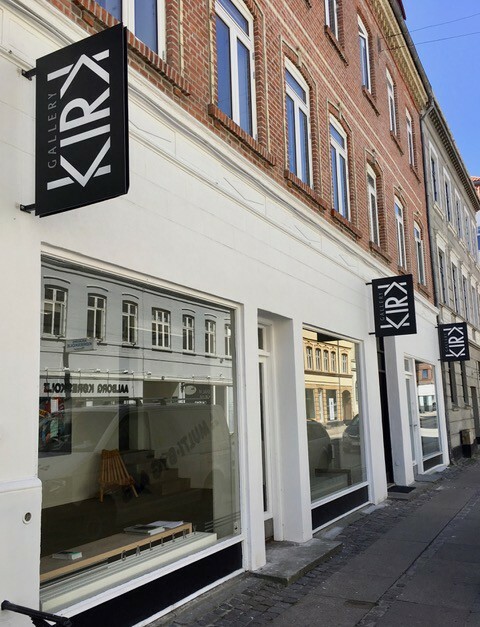 KIRK Gallery is a Danish gallery with international reach and a collaborative approach organising projects and shows for museums and other gallery partners besides participating at art fairs in Denmark and abroad.